Betting strategies come in handy in sports betting. Punters who make a profit from wagering depend a lot on sports betting systems. The system is same for horse players. Should you take your time to look into wagering using handicapping, you will find that most handicappers rely on money management systems and some handicapping form! For the rest, they have created their systems and published the systems. To help you understand how betting sports betting systems come into play, we will go through a few handicapping methods that punters use. Only a small number of individuals have the time to research and come up with a workable handicapping method/system. However, to come up with an operational plan, its takes lots of years of trial and error and a lot of funding to create a viable system that will generate consistent profits year in, year out. To achieve this goal, handicappers spend their time reading books, listening to audio and videos done by experts. They later combine the knowledge from different quarters, get rid of the flaws and use the useful information to create their handicapping method/system. There are times their efforts pan out begging the question why would anyone decide to make adjustments to a system that works already? The thing is, when you invest your time and money in an already working system, you will want to create a better product that will not fail soon! Every horseplayer who chances to become a handicapper already has looked into and preferred a distinct handicapping style. Handicapping styles stretch out into three categories namely; Class, Speed and Trip handicapping. Some punters blend these categories. Unfortunately, they make a bit of a mess by creating a lot of data to analyze manually. Experts advise punters to establish a persona for one category and expound on it. Regardless of the type selected, there are a lot of decent systems to match the method. 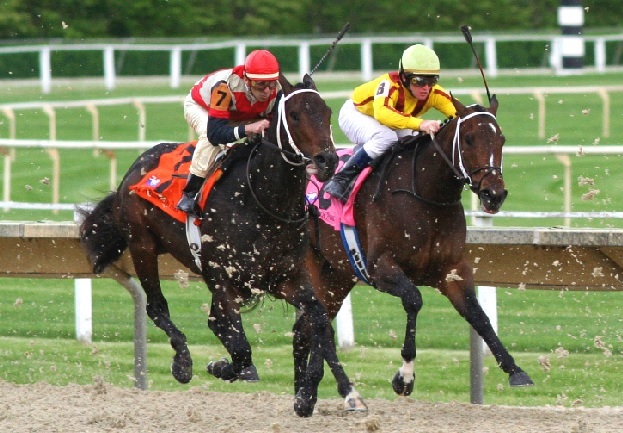 The race conditions determine the horse class that the horse has been exposed to in recent races. If a runner has featured in five consecutive high-level claiming races, itâ€™s unwise to consider the stakes even if the runner triumphed in the past. Past performances are relative only to the recent competition level for class handicappers. Punters settled on a class handicapping system are after horses moving up and down in class. A horse running a lower class may represent value perhaps they only need a class relief and perform better on the track. A horse moving up class, on the other hand, has great value especially if his/her recent form was on an upward trajectory. A lot of horse players selecting this category usually study speed figures provided by Beyer, Equibase, and Timeform race forms. Punters use data from these sources because they access them easily on the Daily Racing Form and racing guides. Speed handicappers capitalize on the assigned values during race times. Handicappers settle on horses after taking into account track conditions and track variants. Handicappers use final speed figures to compare runners that have featured in different tracks and covered different lengths. Handicappers in this category invest their time going through past races video footages. They are interested in runners with perfect setups or easy trips that triggered a runnerâ€™s recent success. Punters are also on the lookout for horses that were taken on round trips that affected their performance on the track. Punters using this method are well aware that they can make a lot of money betting on runners affected by rough trips and end up participating in a smaller field or take part in a better setup. A clean trip is what a horse needs to break records awarding the punter a better cash out! Handicapping methods compare to sports betting strategies and the best sports betting systems that demand a punter selects a method that aligns with their persona to gain the best results. The thing is; no system is greater than the next, so long as punters pick a system that gives them a better platform to gain a profit!